Meaning: The name "Rama" is equivalent to thousand names of Vishnu and therefore it is good chant this "Rama" mantra every day even if it is not possible to recite the entire Vishnu Sahasranamam. 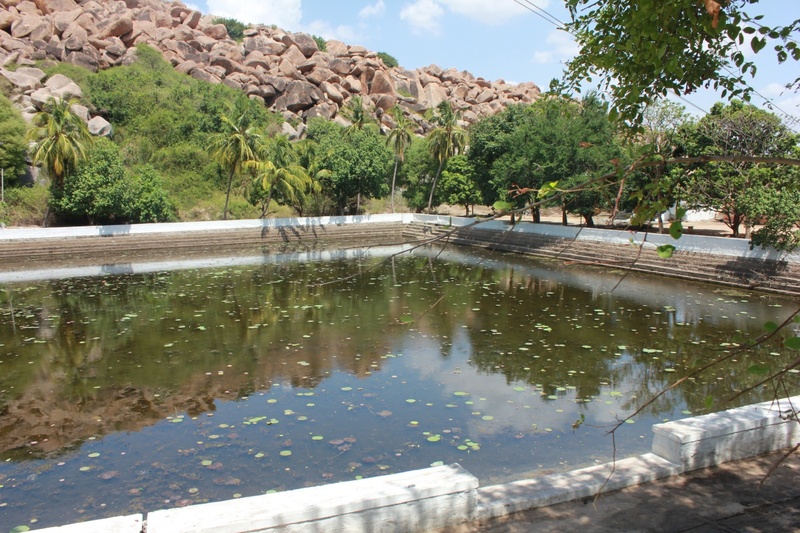 Anegundi, at the northern bank of river Tungabhadra, is at a distance of 5 km from the historical site of Hampi. 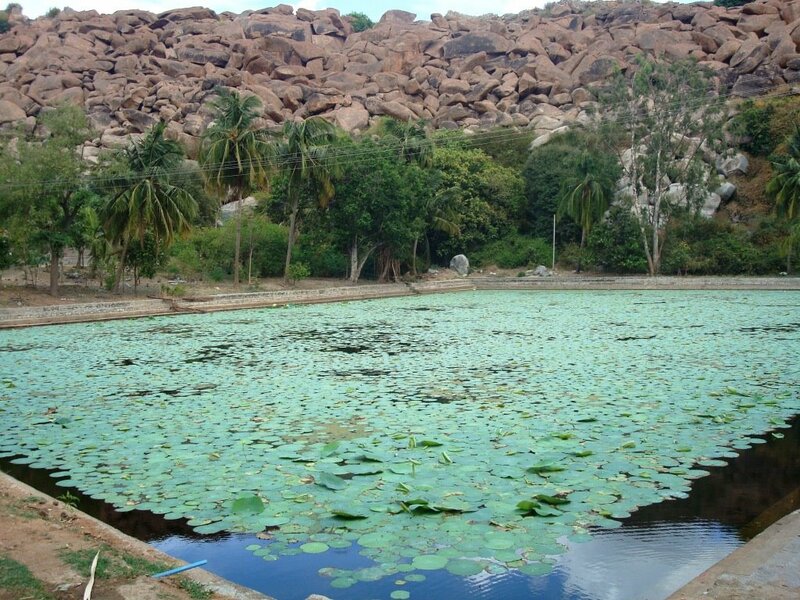 It is locally believed to be the ancient monkey kingdom of KISHKINDHA described in Ramayana. Anjanadri hill, the birth place of Lord Hanuman, and the mountain Rishimuka are the other places near Anegundi associated with Ramayana. It takes around 500 steps to reach the temple of Anjana devi, the mother of Lord Hanuman, at the top of Anjaneya Parvat, which is probably the highest hillock in the vicinity. Hordes of devotees from UP and Bihar throng this temple everyday for whom there is no bigger truth than the faith that their beloved immortal God Lord Hanuman was born on this hill. Ruins of Hampi are insignificant artefacts of history for most of them which can be corroborated by the fact that most of them hardly visit the ruins of Hampi. 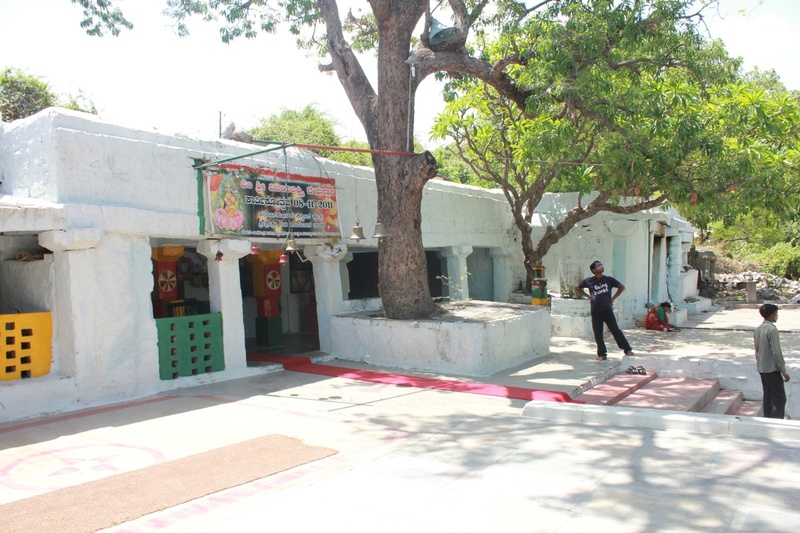 Pampa Sarovara and Lakshmi Temple at the bank of it are another hotspot for Hindu devotees. Local mythology tells you that Pampa Sarovara is the place where Hanuman rested on his way to Himalayas. It is one among the five holy Sarovars installed by Brahma where Shiva and Parvati are worshipped, as per the local legends. The others being Manasarovar (In Tibet), Bindu Sarovar and Narayan Sarovar in Gujarat and Pushkar Sarovar in Rajasthan. Pampa devi is none other than Goddess Parvati, the consort of Lord Shiva, asserts the local version of mythology. 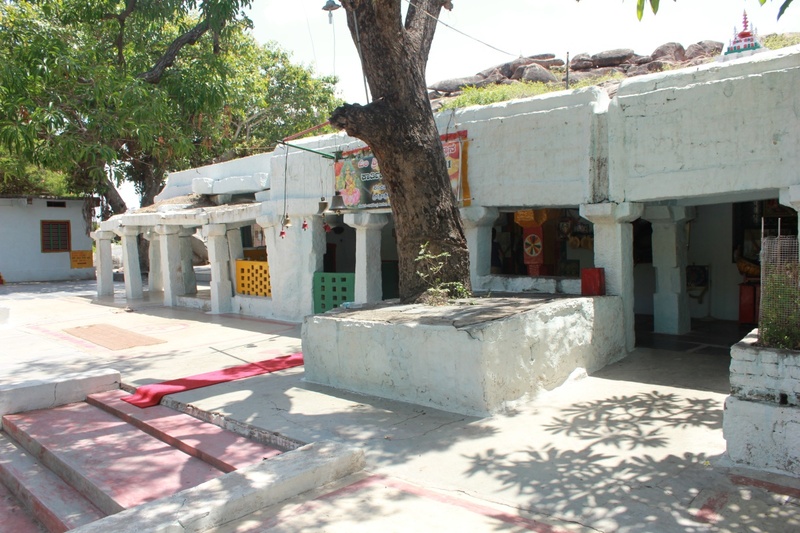 The story goes like this: Pampa, born here, wanted to marry Lord Shiva, who was deep in meditation on the Hemakuta hill, which is right opposite the Virupaksha temple. She realized that meditation was the only way she could win him, and proceeded to do so, on the banks of a lake, on the other side of the river, where the present Pampa Sarovara is located. Finally, Shiva became aware of her and being satisfied with her devotion he agreed to marry her. The location where they were married is where the Virupaksha temple stands today. Even today, villagers from the surrounding areas prefer to marry within the temple premises, considering it an auspicious beginning to their married life. Lakshmi is there everywhere. But there is a speciality in this place. When Ram had come here, Sita was not there. Ram had lost Sita and he came alone to kishkinta. So here sita is there in a separate kovil. The people here wanted to have darshan of sita too. Ram made a way for that too. After the war completion, when Ram was travelling back to ayodhya he came here. When Ram came back in the pushpaka vimanam, all the women monkeys also boarded in the vimanam and went to ayodhya. All the women in this town saw sita first time when the pushpaka vimanam landed. This lakshmi kovil is here for the people of kishkinta, to get the same happiness of what the women got when they saw sita in the pushpaka vimanam. Very wonderful sannidhi. 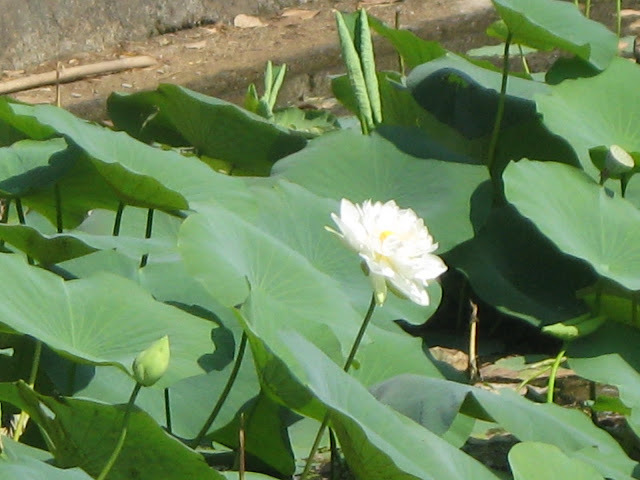 With Pampa saras full of lotus on one side. Lakshmi who is of colour of lotus, with lotus garland, with lotus in her hands to play with and Eyes like Lotus. Sabari was a hunter's daughter and belong to the Nishadha tribal community. The night before her marriage; she saw that thousands of goats and sheep were brought by her fathers, which were going to be sacrificed for the marriage dinner. Moved by compassion, during the early hours of the morning, she renounced the world and ran away to meet a Master. After days of travelling, she met Sage Matanga at the foot of the Mountain Rushimukha and accepted him as Guru, serving him with devotion. When her guru Matanga was about to die, Sabari—now an old woman—says that after serving him throughout her life, she wanted to reach the same "abode of peace" which Matanga reached. Thereupon, the sage said that by the virtue of her Seva (service), Lord Ram shall give her Darshan and asks her to wait for his arrival. Saying thus, the sage sitting in lotus posture attains Mahasamadhi. As per her guru's words, Sabari waits for the arrival of Ram. Everyday Sabari would go out of her Ashram, with the help of a walking stick and pluck berry fruits for Lord Ram. She would pluck a fruit, first taste it, and if it was sweet she would put it in her basket and discard the bitter ones. She wanted to give the good and sweet fruits to Ram. The thought never came to her that she should not taste it before it was offered to a deity. Traditional writers use this narrative to indicate that in bhakti, faults are not seen by God. Thus collecting a few fruits, Sabari went back to her ashram and eagerly anticipate Ram's arrival. Sabari is commonly used as a metaphor for an endless wait for God. Footsteps of Lord Rama can be seen at the place where Sabari seated him and washed his tired legs with water from the Sarovar and decorated them with flowers. There is also a Homa Kund inside the cave where Sabari had peformed puja for several years. According to the story, even though hundreds of other yogis were waiting to receive Rama in their ashrams, Rama went only to Sabari's ashram because of her sincere devotion. On seeing Rama, Sabari became ecstatic and said, "There were so many exalted yogis waiting for your darshan, but you came to this unworthy devotee. This clearly shows that you will neither see whether a devotee lives in a palace or humble hut, whether he is erudite or ignorant neither see caste nor color. You will only see the true bhakti. I do not have anything to offer other than my heart, but here are some berry fruits. May it please you, my Lord." Saying so, Sabari offered the fruits she had meticulously collected to Rama. When Rama was tasting them, Lakshman raised the concern that Sabari had already tasted them and therefore unworthy of eating. To this Rama said that of the many types of food he had tasted, "nothing could equal these berry fruits, offered with such devotion. You taste them, and then alone will you know. Whomsoever offers a fruit, leaf, flower or some water with love, I par take it with great joy." Lakshman didn't taste the fruits. He brought them to his mouth but threw them aside considering them as impure. Pleased with Sabari’s devotion, Rama blesses her with his vision. Rama notices the donnas or bowls of handmade leaves in which she had offered the fruits and is impressed by the hard work Shabari has gone through to make them and hence blesses the tree, so that the leaves naturally grow in the shape of a bowl. Sabari also tells Rama to take help from Sugriva and where to find him. The Ramayana says that Sabari was a very bright and knowledgeable saint. Rama told her that Kabandha told them about her. If she was interested, they wanted to see the place and enjoy their stay. Sabari was happy to show that place in detail to Rama and Lakshmana. She started telling him. Rama! My gurus, Great sages did many Yajans there. In this place, Rishis are very aged and their bodies are dried up with regular fasting. They do not even have the strength to go to the water and take bath. So,with their powerful intention only, they made all the sapthasamudras to come to their abode and were taking bath there itself. To pray god, they used to bring lose flowers and some garlands. But they never wilt and dry up. It is all the power of their penance. Sabari requested his permission to end her life and go to heaven where her gurus went. Rama was happy to give her permission to go to heaven. Rama and Lakshmana were happy to see that aasramam. They bathed in sapthasamudras. They performed last rites to their departed elders. They were happy that all their troubles were coming to an end. They were confident that good times were about to come soon. They were relaxed. They had no tension. They wanted to meet Sugreeva as early as possible. Madhuvan, which has a little temple of Hanuman. It was here where the monkeys stopped to enjoy the gardens of fruit after Sita had been found. Story On Madhuvan: Angada and other senior Vanaras and Hanuman accepted the suggestion of Jambavan to proceed to meet Sri Rama Lakshmana and Sugriva. Then the happy Vanaras left Mahendra mountain and flew into the sky with Hanuman leading them from the front. The Vanaras flying in the sky reached a grove called the Madhuvan which is full of trees and creepers and is equaling Nandanavana in beauty. That Madhuvan delight of all is under the protection of King Sugriva and is so well protected that it is not accessible to all living beings. It is protected at all times by a Vanara chief Dadhimukha who is the uncle of King Sugriva. When the Vanaras reached that Madhuvan which always gives great pleasure to King Sugriva, all the Vanaras eagerly wanted to drink the honey from the Madhuvan. Consulting all the Senior Vanaras like Jambavan, Prince Angada then gave permission to the Vanaras. The Vanaras ate the fruits and juices of of the Madhuvana. They were overjoyed land lost themselves in that happiness !! Some of the Vanaras began to sing, some were jumping around, some were dancing, some were laughing, some were leaping off the trees, some were just moving about and some were uttering incoherent words !! Seeing those intoxicated Vanaras freely eating the fruits, drinking honey and in the process destroying the beautiful grove full of trees and creepers, Dadhimukha who is the protector of that grove tried to stop them with sweet words. Then the intoxicated Vanaras without considering propriety and without fear surrounded Dadhimuka and started to threaten him. The intoxicated Vanaras destroyed the Madhuvan and scratched him with their nails, bit him with their teeth, kicked him with their feet and pushed him with their hands. Hanuman then told the Vanaras "Oh The best of Vanaras ! you please drink freely, without any fear of obstruction". Hearing those words of Hanuman, Angada one of the chief Vanaras said ,"Oh Vanaras ! Happily drink without fear. Word of Hanuman who accomplished the task is to be obeyed by me even if it is improper. Then what to speak in a matter like this which is quite proper!" Hailing Angada all the Vanaras then entered the Madhuvan like the overflowing waters of a river. Then they drank the honey in large measures with their hands and thrashed who ever came in their way. The followers of Dadhimukha protecting the Madhuvan thus threatened and thrashed by the Vanaras ran away in all directions! The Vanara chief Dadhimuka who was to protect Madhuvan having heard that Madhuvan has been destroyed and being angered, told his followers who have been thrashed as follows "Oh Vanaras come! We will go to the place of those arrogant Vanaras. We will stop those Vanaras drinking honey using force." Hearing those words of Dadhimukha, the heroic Vanaras quickly reached Madhuvan along with him. On the way the powerful Dadhimukha uprooted one tree as he approached the Madhuvan. Then angry Angada the hit him with his hands. Without thinking that this one is to be respected the intoxicated Angada pushed him to the ground and kicked him. Shocked Dadhimukha who is an uncle of Sugriva recovered after a second then taking his staff tried to stop the intoxicated the Vanaras. Then getting away from the Vanara army, he spoke to his followers in a desolated place. "Let them do what they want! Sugriva our king, who knows right from the wrong is with Rama and Lakshmana. Let us go there and report to him". In the next moment Dadhimuka reached the place where Sugriva the son of the Surya and the most powerful one was staying. From the sky itself he could see the place where Sri Rama and Lakshmana are located. On an even space near by the Dadhimuka landed with his followers. Then that powerful Dadhimukha who is leader of the forest guards and who is in a pitiable condition paid obeisance at the feet of Sugriva with folded hands after landing on the earth along with all his followers. Seeing Dadhimukha the Vanara chief prostrating before him, that King of Vanaras with anxiety in his heart spoke to him. "Please get up. Why are you falling at my feet? You have my protection. Please tell me everything"
Thus having been assured by Sugriva, the intelligent Dadhimukha stood up and spoke to him. "O king the Madhuvan protected by your father Ruksharaja, your self and Vali too, has been destroyed by the Vanaras who ate all fruits etc from the Madhuvan. Along with the forest guards I tried to stop them. Even then without caring a bit they went on eating what ever they wanted. When you are the king these Vanaras killed some of our guards and went about destroying Madhuvan"
When Dhadhimukha was briefing king of Vanaras, the destroyer of enemies and highly intelligent Lakshmana asked Sugriva, "O King why is the forest chief here? Why is he disturbed? what is he telling you about?" Asked by Lakshmana as above Sugriva the king of Vanaras who is good at speaking replied as follows: "Respected Lakshmana! Angada and other Senior Vanaras have destroyed Madhuvan. Coming back from South they won't attempt this kind of thing unless they have completed their task. There is no doubt they have located Sita. That surely was accomplished by none other than Hanuman!! O Lakshmana! Sitadevi has surely been located. The fact that they are drinking "Madhu" is proof enough" Hearing that most welcome news from Sugriva, both Rama and Lakshmana were delighted. Then Sugriva replied the Forest chief Dadhimukha. "The eating fruits and drinking the madhu by the Vanaras who have completed their task is agreeable to me. I am happy. Because they have completed their task their actions are acceptable. Go back to Madhuvan. You keep protecting the same. Please send Hanuman and other senior vanaras here immediately"
Seeing the happiness of the princes announced by the expanded eyes expressing joy, Sugriva himself was delighted with horripilations all over his body in anticipation of impending success.